With Christmas just around the corner, it’s time to relax and get together with friends and family for evenings of festive fun. So we’ve teamed up with Drumond Park to offer you the chance to win a family games bundle worth up to £88! 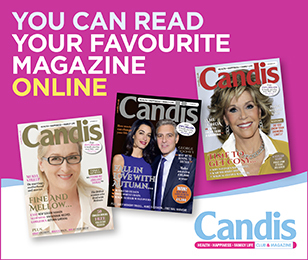 Ten lucky Candis readers will win a bundle of four games including, Shout! 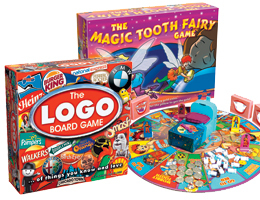 (RRP £19.99), packed with trivia questions and picture puzzles for all the family; The Magic Tooth Fairy, where boys and girls cast their magic Tooth Fairy wands and watch teeth turn into shiny gold coins; and the UK’s number one best-selling adult game, Logo (RRP £32.99), testing your knowledge of well-known brands and their logos; along with new Logo Grab (RRP £14.99), the latest family game in the Logo series, featuring many big name brands. My family would love these. what a great way to keep the family entertained during the holidays! would be great to win these fab prizes and bring my family together to play and enjoy. My friends children would love this prize, there are 6 of them to keep entertained. This would keep the Grandchildren happy! Ideal for my family – fingers crossed! Great for Christmas day fun. Great item which would keep my husband amused whilst he convalescences after radiotherapy. Fab games for all the family. Never played before sounds good fun and will keep all entertained. Great choice of games to play this Christmas day. Many happy hours to enjoy with these. This would be great for our boxing day get together. Would be great to win this,great for the cards. I love playing Board games, hours of fun. Just What The Family Loves. I know some children who would love this prize ! Games for all of the family are almost as good as family Sunday dinners together. Love playing games this time of the year.